It might be odd to hear it, but you can think of your house as a machine. All of the parts work with the rest to provide protection against the St. Louis weather. Most people think of their homes as inanimate, static, basically unchanging day-to-day. Unless a big snowstorm or tornado comes along, they don’t change very much or very fast. In our work dealing with your roof, windows and other parts of the covering of your house, we can see that everything works together like machine parts do when an engine runs perfectly. If one part does not fulfill its function perfectly, then other parts can be made to fail. Take a look at it. The health of your house depends so much on the integrity of its protection from the elements. The roof, obviously, keeps out wind, rain and snow. But the roof relies on the integrity of your windows. Some of the clients we work with want to get replacement windows that are stronger protection against high winds. The same with doors. St. Louis spring and summer storms can bring some high winds along with hail, tornadoes and gusts. Did you know that if a storm breaks a window, high winds have a much better chance of taking off your roof? It’s because of the buildup of air pressure inside the house. The window fails, the winds blow right into the house, this increases air pressure inside the house and adds just enough pressure that the wind can take off your roof. The same thing can happen if a door fails. An open door during a storm can contribute to the destruction of the roof. The role your siding plays in your house’s functioning like a well-oiled machine is pretty obvious. 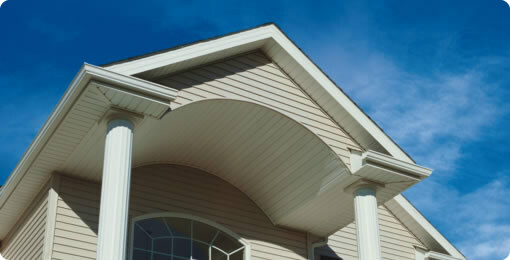 But maybe the roles played by fascia and soffit are not as obvious. They have decorative value, covering the eaves of your house, but that’s just a tiny part. They have a lot to do with keeping water out and enabling ventilation to occur. In warmer climates especially, soffit may not be made of solid materials but may be vented to allow air to flow in and out of the attic while keeping water out. If your attic is allowed to cool, it reduces the stress on your roofing materials. Fascia must be properly placed to seal the edges of your roof, again keeping out the elements. 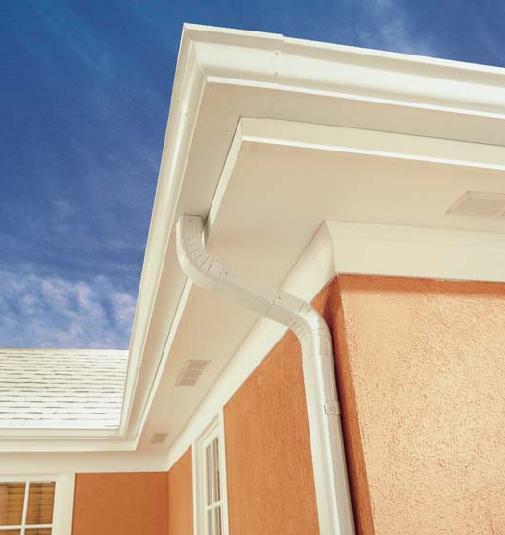 The roof, soffit and fascia work together to seal the top part of your house. The siding covers the horizontal surfaces. If fascia, siding and soffit are not properly installed, you miss these benefits. The parts of your machine will not work together to create a strong resistance to the weather. If there were no way to route rain and snowmelt, you’d have a mess and a problem. You’d have water pooling around the house, maybe dumping down right over entrances. Water would be much more likely to invade your basement or the house itself. Are you getting the picture of how all the parts work together? That’s the genius behind all the different services we offer. We’re not just the best roofer in St Louis for all your needs. Over the years we have been in business, we have expanded the services we offer so we can help you keep that machine purring for many years to come. Give us a all at (314) 825-7663 anytime.